Superman, Batman, Spiderman — and now — Hot Dog Suit Man! If I had to venture a guess, I’d assume his superpowers involve squirting out condiments into the faces of his enemies, safely apprehending criminals with his “bacon wrap,” and giving people a bad case of the runs. What a badass! 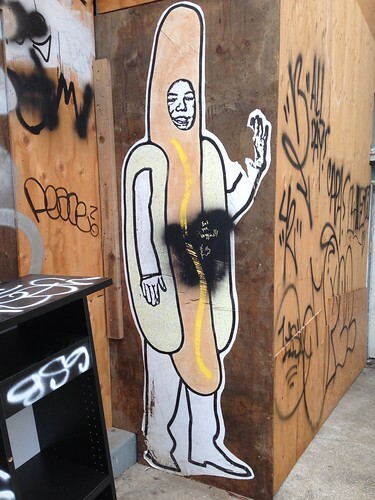 To see Hot Dog Suit Man yourself, check out his Bun Cave over at Albion and Camp.